We all want our homes to have that exclusive and dazzling look. One way to give your house a fashionable look is through the flooring. The pattern and choice of design we use in terms of flooring go a long way in giving us the desired finishing we want for our home. French Pattern is one of the best ways to give your floor that royal and impressive appearance. 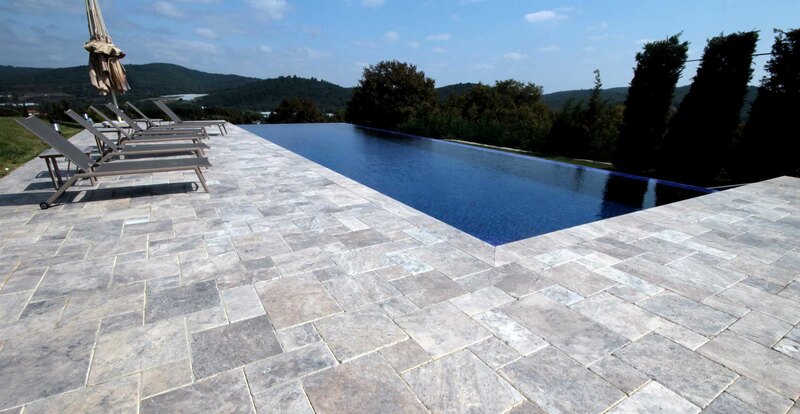 French Pattern Travertine has been used over centuries for building monuments and grand structures, and now bring beauty and class to modern homes and buildings. The material can be shaped to fit any kinds of installation, be it outdoors or indoors. The French Pattern design has become the preferred choice of design among homeowners. It takes its name from the French Palace of Versailles where this pattern is used with beautiful, very large stone tile. This intricate pattern uses both square and rectangular tiles of 4 different sizes that visually create a random-appearing pattern without being overwhelming. When done right, the results are simply stunning. French Pattern Tiles, also called Versailles Pattern, are composed of four different sized tiles.